Even with zero Panthers games, the month of January has already been filled with Panthers headlines. The team will head to London with Efe Obada in 2019, Cam undergoes an arthroscopic procedure on his throwing shoulder, Rivera finds his WR coach and the Super Bowl matchup is official and does not contain an NFC South team…well, at least for now. 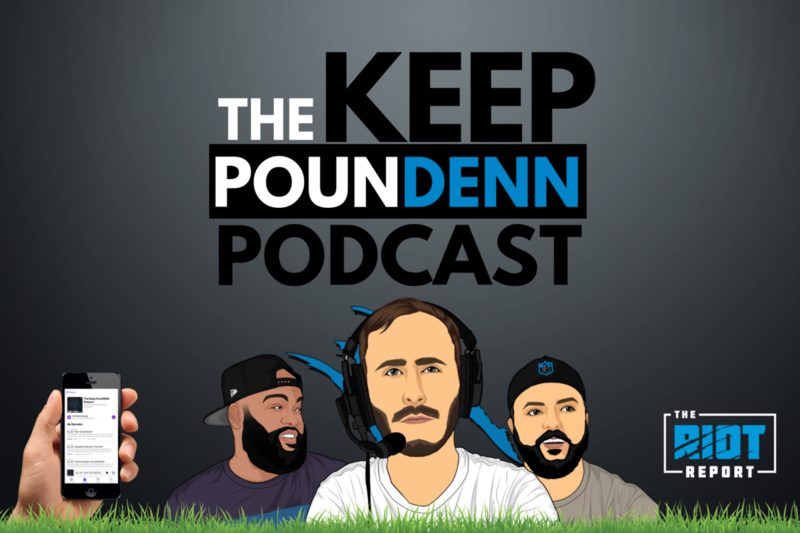 Denn, Chris and Bobby are back this week to break down the screwjob in New Orleans, is Tom Brady the L.O.A.T. or the G.O.A.T. and Denn really doesn’t care if Kelvin Benjamin wins or loses anything. Jared Feinberg (@JRodDraftScout) also joins to begin the NFL Draft talk series to which they touch upon how the 3-4 defense rumors could affect the 2019 draft and more.